Breakfast is important meal when we start a new day because it help give us all a good start to the day, especially during this Christmas season. Add a few pieces of fresh apple and pear with your usual breakfast cereal/oatmeal when serving your family. The combination of apple, pear and cereal/oatmeal provide high fiber, therefore will boost your metabolism and burn more body fats. Are you having white bread or cornflakes for breakfast? If you are, you may want to change your food that you have in the morning. 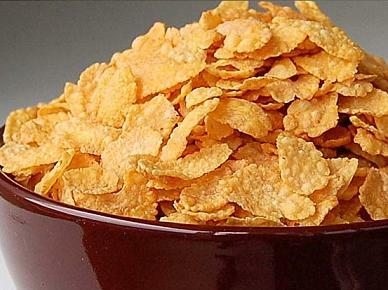 Researchers found that eating a diet rich in carbohydrates, such as cornflakes and white bread, boost blood sugar levels. Hence it hampers the functioning of your blood vessels and raise your risk of developing cardiovascular disease. So, what’s best for breakfast? 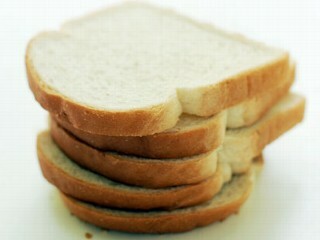 Eating wholemeal bread, oatmeal, fruits and vegetables for breakfast is a good start. They are low-glycemic index foods, meaning they won’t raise your bloood sugar level that much. If you are, you definitely want to think again. Breakfast does bring us lots of benefits. If you’re not sure what to have for breakfast, try oatmeal. 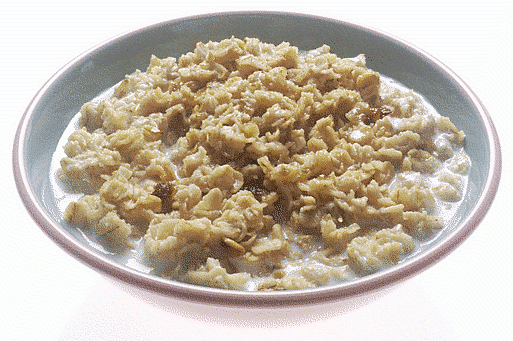 Oatmeal is rich in fiber and carbohydrate. The carbohydrate and fiber pump up metabolism by keeping insulin level low after you eat. This reduces the chances for body to store up fat. U.S. Navy studied the metabolisms and eating habits of a group of its personnel, it found that eating breakfast helped raise the men’s metabolisms by as much as 10 percent. Because our body takes a long time to break down the fat-soluble fiber in oatmeal; eating them at breakfast will help to burn off more calories in our body. Hence, you won’t feel hunger that easily after meal. Are you skeptical that eating more can actually help you to lose weight? These foods will help you to lose weight in no time. Research has found that eating a reasonable amount of protein instead of carbohydrates can indeed encourage weight loss. Your body has to work harder to digest proteins than it does with carbohydrates and fats, so protein actually burns more calories. Moreover, because it takes a while to digest, it also makes you feel full longer. According to the study at the Pennington Biomedical Research Center of Louisiana State University System, volunteers in the study who substantially cut calories from their diets while eating egg breakfasts lost an average of six pounds in eight weeks, reduced their waist measurements 83 percent more, comparing to those who eat bagel for breakfast. Eating more fats doesn’t necessary mean you’re putting more pounds to your weight. Christine L. Pelkman, assistant professor of nutrition at the State University of New York at Buffalo conducted a study, which showed that subjects who consumed 33 percent of their calories from fat (many of them from nuts) lost the same amount of weight as those whose diets were only 18 percent fat. Like protein, fat increases satiety, that pleasantly full feeling that signals us to put the fork down. Eat more foods that are unsaturated fats like olives and olive oil, nuts, legumes, and fatty fish like salmon. Drink more water increase your body metabolic rate and thus, help you burn more fats. Fruit consists mostly of water and fiber, so it fills you up without adding a lot of calories. In a six-year study at Laval Hospital Research Centre at Laval University in Quebec, people who increased their fruit intake—whole fruit only, not juice—put on less weight than those who ate little or no fruit. Therefore, eat more fruits such as grapefruit and apples. Skip fruit juice because you’ll get less what whole fruit has to offer. In the time you spend each morning calibrating your hair gel, you could be doing something more important, with a much better payoff: eating breakfast. It keeps you slim: Breakfast eaters are less likely to be overweight than breakfast skippers, and successful dieters are also more likely to be breakfast eaters. It keeps you healthy: Eating breakfast may reduce your risk of serious illnesses like heart disease, stroke, diabetes, and cancer, and it strengthens your immune system so you’re more resistant to common ailments like colds and the flu. It keeps you sharp: Memory and concentration get a boost from breakfast. A study on children found that kids who eat breakfast score higher on tests and are less likely to suffer from depression, anxiety, and hyperactivity. It should help you at the office, too. While fixing breakfast myself every morning, I like to take some time sharing 5 healthy breakfast tips. Choose whole wheat bread products in the morning to get off to a great start. Whole grains will help you stay fuller longer, plus they have more fiber. Muffins, croissants, donuts, biscuits and cinnamon buns should only be an occasional indulgence. Sometimes they have just too much calories. Oatmeal is a great choice. It is rich in fiber, which will keep you feeling full, and does your health good by helping reduce cholesterol. When choosing cold cereals, pick whole grain varieties for the extra fiber they provide. Use one whole egg and two egg whites to make omelettes. It fewer calories, less fat and less cholesterol than using whole eggs alone. You should know why eating fruits and vegetables can be good for you by now. Fruits and vegetables are good sources of fiber, which can help curb your appetite. Yeah, you read that line alright. Make your own healthy breakfast. Skip fast food restaurant that have drive-thru. Start thinking healthy instead of fast, cheap, and convenient. Consider breakfast as the way to fuel your day. One fine day, I’ll share more healthy breakfast tips and maybe some recipes with you folks. Feel free to share your breakfast tips on the comment box.